CRAZY DISCOUNT! Was: $219.95 Now: $119.96! Having trouble in cleaning up leaves & litter in your garden or backyard? 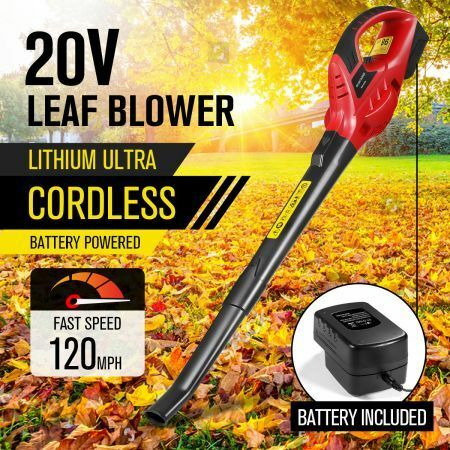 This Cordless Rechargeable Leaf Blower Battery Powered Garden Cleaner can help you out! 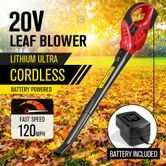 Powered by rechargeable battery and designed in cordless use, this lightweight leaf blower can spare you the trouble of dealing with the cable and smoothly move around to blow away the leaves and other debris. This blower can be flexibly adjusted from fast speed to low speed, meeting different users' needs. Moreover, this cordless blower also has a comfort handle for portability. Coming with a charger and adapter for free, this blower garden tool can save you much money. For such a premium cordless leaf blower, don't hesitate to buy one to beautify your garden! Excellent CrazySales very happy thank you. Smaller than expected but a wicked blower glad I brought it.